While the Corporate India may have many reasons to celebrate – from lower rate of taxation to direct and indirect measures to support Make in India, stock brokers have got a raw deal in this Union Budget presented by finance Minister Arun Jaitley. Brokers were expecting some respite on security transaction tax, commodity transaction tax to cut down on the transaction tax. 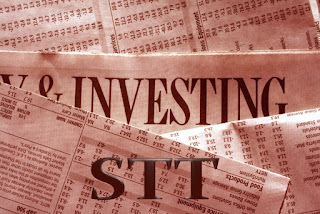 The logic was lower STT or CTT will lead to lower transaction costs and more investors and traders will participate in the stock and commodities market. This demand did not fructify. Brokers also did not get any favourable response on their prayer of reducing short term capital gain, which is charged at 15.45% on gains on equity investments held for less than one year. Brokers have to pay service tax on the brokerage charged to the client. This further inflates the transaction costs for the end traders and investors. Brokers demanded a cut in rate of service tax from extant 12.36%. 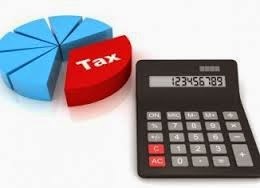 In line with overall increase in service tax to 14%, brokers have to collect more from their clients, resulting into higher transaction costs. 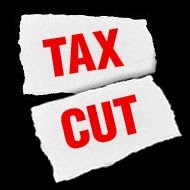 Brokers were demanding lower transaction taxes and lower capital gains tax. The Finance Ministry has expanded the list of agricultural commodities on which the commodities transaction tax (CTT) is currently levied. As many as 38 items have been added to the existing list of 23 commodities. For this purpose, the Central Board of Direct Taxes has amended the CTT Rules notified in July 2013. The new items that have been added include rice, bajra, ginger, sesamum, small millets, tur, tur dal, urad, urad dal, onion, groundnut, moong dal, methi, ragi , betelnuts, cinnamon, nutmeg, jowar, linseed, gram daland sunflower seed. Currently, some of the new items added to the list are not traded on commodity bourses. 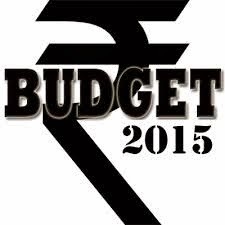 This CBDT move is significant as it comes a fortnight before the Budget for 2015-16 is to be presented. 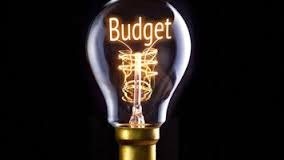 The Forwards Market Commission – the regulator for commodity futures market in India – had recently suggested to the Finance Ministry that the CTT should be either done away with in the upcoming Budget or the quantum of the levy should be reduced. The Centre had imposed a 0.01 per cent CTT on primarily non-agricultural commodities from July 2013, resulting in the volume of trade on the commodity exchanges dropping. According to the Forward Markets Commission's market report, the volume of trade till January during the current fiscal dropped to ₹51.26 lakh crore against ₹89.03 lakh crore during the same period a year ago. The trade value dropped to ₹101.44 lakh crore in the 2013-14 fiscal against ₹170.46 lakh crore in 2012-13. The Forward Markets Commission(FMC) urged the finance ministry to remove or reduce the commodity transaction tax (CTT) in the forthcoming budget because it has severely hit trade volume in the decade-old commodity futures market. Brokers said the tax of 0.01% on the seller along with lack of volatility has hit futures volume by 40% since it was imposed in July 2013. FMC data show that volume shrank 41% to Rs 101.4 lakh crore in FY14, the fiscal year the tax was introduced on non-farm and processed farm contracts such as gold, silver, crude oil, cotton, soya oil and sugar. 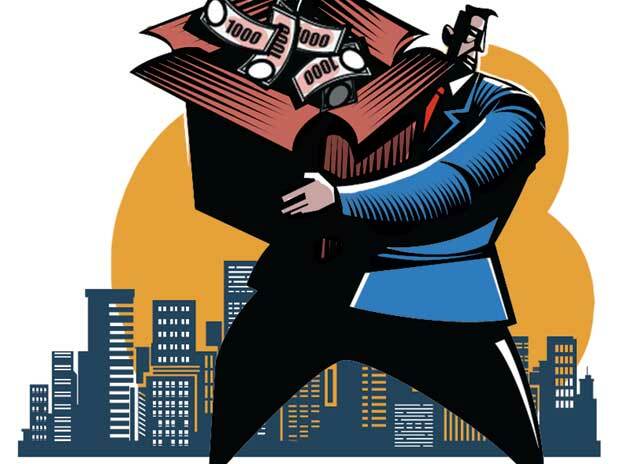 In the fiscal year through January 2015, volume has fallen 42% to Rs 51.3 lakh crore from the same period last year. Moreover, commodity transaction tax collection has been significantly lower than that from securities transaction tax (STT) on stock market transactions. 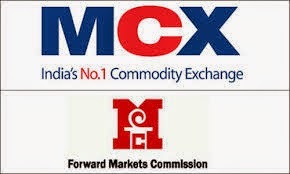 On MCX, the country's largest commodity exchange with 90% market share, collection in the fiscal year through December was Rs 374.35 crore against Rs 4,940 crore in securities transaction tax over the same period. "There has been a recommendation to remove or reduce the tax," said a government official. "Introduction of commodity transaction tax has drastically affected volumes and since the commodity futures market is nascent, it's imperative to either wholly remove the tax or to reduce it substantially," said Suresh Nair, director, Admisi Commodities. The previous UPA government, which introduced the tax at a rate of Rs 10 per Rs 1 lakh on the sell side, justified it on the ground that a huge number of transactions on the commodity futures market did not result in delivery. Officials from leading exchanges such as MCX and NCDEX - specialising in farm and non-farm contracts respectively - argued that physical market constituents used the market to hedge their price risk and not necessarily to give or take delivery. Further, they pointed out that speculators provided the market with liquidity by taking a contrarian position to that of hedgers. Some of these market participants, who squared off their positions on a daily basis, would be forced out of the market because of commodity transaction tax as the narrow spreads they trade on are being squeezed by the tax. 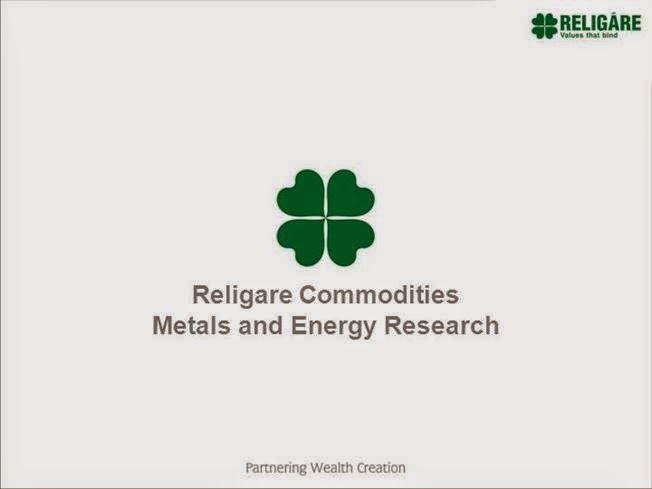 In the current fiscal year through January, bullion (gold and silver) volumes are down 53% to Rs 18.3 lakh crore, energy by 39% to Rs 13.1 lakh crore and base metals by 32% to Rs 10.6 lakh crore. Bullion accounted for 70% of the overall turnover, followed by energy (26%) and base metals (21%). Is Commodities Transaction Tax removal in the offing? The Commodity Transaction Tax (CTT) was introduced in the 2013 Union Budget on non-agricultural commodities traded on futures exchanges. This was based on the premise that commodity exchanges have matured; and there is no difference between stock and commodity derivatives trading. Therefore, the very existence of Securities Transaction Tax (STT) in stock exchanges justified the CTT, as was stated during the time of the tax announcement. Since then, and even before that, several arguments have been put forward on the differences between the commodity and the stock exchanges; but that is immaterial now as the impact of CTT on the commodity futures markets is quite perceptible in the non-agricultural segment. The CTT of 0.01 per cent that was levied on the sale transaction of commodity futures on non-agricultural commodities from July 1, 2013 increased the cost of transaction almost six times. The drying of the liquidity as traders deserted the market has had a compounding effect as the impact cost of trading rose, thereby making the exchange-traded commodity market costlier still. The most perceptible impact is on the hedging efficiency. 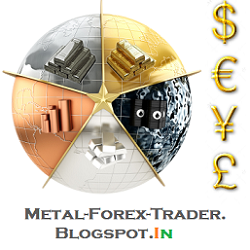 That the futures market was set up for the purpose of hedging needs no reiteration. Hedging efficiency measures the degree to which physical market risk can be covered by taking appropriate opposite positions in the futures market. One of the good measures of hedging efficiency is given by the Ederington’s Formula. Following this formula, the Hedging Efficiencies of four commodities traded on the largest non-agricultural commodity exchange are given in Table 1. Despite hedging efficiency numbers being good (to the extent of being world class) during the pre-CTT phase, there has been a substantial drop in hedging efficiency after the imposition of commodity transaction tax (CTT). Table 2 shows the decline in liquidity caused by CTT. Liquidity is measured by the Hui-Heubel Ratio, or HH Ratio; higher the number, more illiquid is the market. Table 2 shows that HH Ratio increased, i.e. liquidity dried up, for commodities in all segments: bullion, base metals and agricultural commodities between the periods before and after the imposition of CTT. 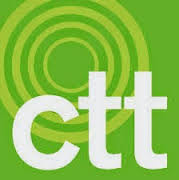 Market buzz has it that a number of large trading firms shifted their commodity trading desks overseas following the steep increase in transaction cost due to CTT. A number of corporate hedgers also are now finding hedging in global exchanges more attractive to manage their risks rather than hedging in India, notwithstanding the currency risks they encounter in hedging abroad. Those that are not able to trade abroad possibly are shifting to the illegal (‘dabba’) markets, as trading interest is a significant function of trading costs. Significantly, as I had argued in a co-authored paper published in the Economic and Political Weekly (“Commodity Transaction Tax: A Recipe for Disaster, EPW, September 27, 2008), even the revenue generated from CTT would be much lower than the direct and indirect revenue loss due to the lower volumes of trade. There is a clear case of existence of a Laffer Curve (which states that tax revenues increase with initial increases in tax rates but diminishes thereafter), and the critical point might be reached at between 10 and 15 per cent volume loss. As we might have noted by now, the volume loss is to the tune of around 60-70 per cent. Hence, there is a high chance of revenue loss than garnering revenue. The government is contemplating creating an International Financial Centre, which will surely have to offer tax incentives to entice international traders to trade in the country. One such policy reform should be the removal of transaction taxes such as the CTT, as they do not exist anywhere else in the world, except for Taiwan. Policy reforms in the field of taxation in the commodity futures market is of critical significance as various taxes and levies are a significant component in the overall cost of transaction. We can look forward to the forthcoming budget now, maybe to witness such changes.